The Best way to tame and manage your hair. 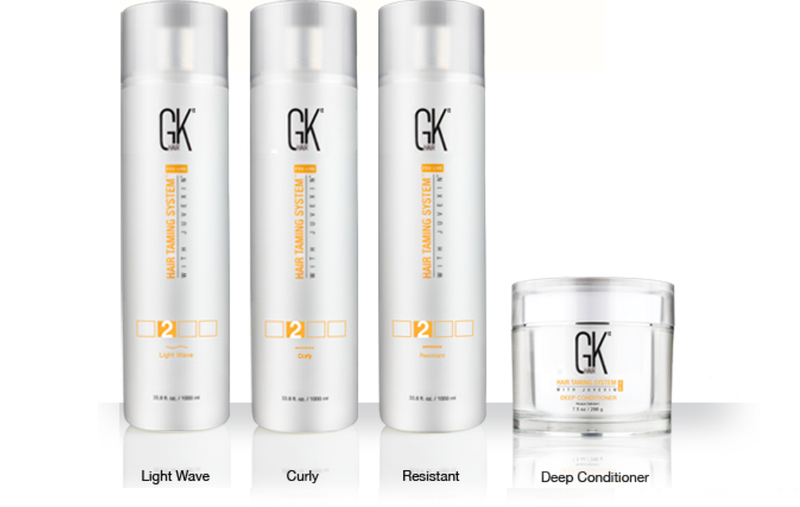 Rejuvenates while straightening and strengthening hair for up to 5 months. The Best reduces the stiffness (elastic modulus) in the hair, this reduction or softening effect causes the hair to lose its natural curl and feel softer. 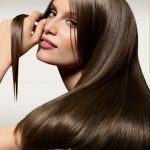 The greater the concentration along with application of Juvexin, the softer or straighter the hair will become. Juvexin penetrates throughout the hair shaft delivering important conditioning and moisturizing benefits. This improves the softness and reduces friction enabling the hair to better withstand heat, helps make hair less prone to breakage and improves the lubricity of hair giving hair overall better manageability. On both wet and dry hair there is less entanglement during brushing, making the hair less prone to breakage and improving manageability. Let’s just get something straight: Olaplex isn’t just another hair conditioning treatment. In fact, it doesn’t use the word *conditioning* – often just a buzzword for one-off high-shine and smoothness – anywhere in its advertising. What it is, instead, is system that permanently rebuilds the damaged disulphide bonds in your hair that are broken during the chemical process. If you’ve over-bleached over the years, Olaplex allows you to rebuild the strength, structure and integrity of your hair; a ‘reset’ for your locks, if you will. The system has allowed colourists to do work that they’d only ever dreamed of before. 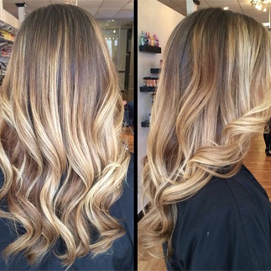 Black to blonde in one session? No problem. 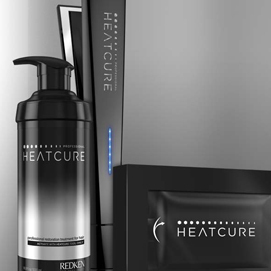 The restoration service begins with the Heatcure Professional Formula which features a unique combination of proteins including arginine, soy, sepicap; wheat and palm oils; low melting point waxes and cationic surfactants. The ingredients liquefy and penetrate up to the cortex of the hair with the use of the Heatcure Professional Tool, an exclusive ceramic tool for hair restoration designed with a specifically-calibrated low-heat setting of 284°F. Designed in collaboration with T3 Micro, Inc. for use on towel-dried. With the Redken Chemistry treatment, women with chemical damage caused by colouring, perming or straightening or with mechanical damage caused by blow-drying, flat irons or curling irons can benefit from these particular proteins that repair, replenish and strengthen hair. To perform the treatment, a stylist inspects and diagnoses the condition of the customer’s hair before custom-designing a formula to fix the hair. The treatment uses “shots” designed to correct and treat a specific condition. Each shot balances ingredients that include avocado oil, apricot oil, candelilla wax, macadamia oil, olive oil, shea butter and various kinds of protein. The shots available are All Soft for brittle or dry hair, Clear Moisture for dry or normal hair, Colour Extend for colour-treated hair, Extreme for badly distressed hair, Real Control for hair that is dense or sensitized and Smooth Down for extremely dry or unruly hair. 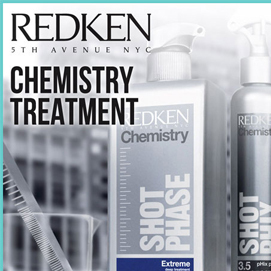 Redken also offers hair products to maintain the improvement gained from the Redken Chemistry treatment. A hair glossing service will ensure your hair leaves the salon with a shine and will boost lifeless hair, smoothing those flyaway ends, this service can be slightly tinted or clear and will help revitalise and maintain colour. This fashion led service is very popular in all our hair salon. 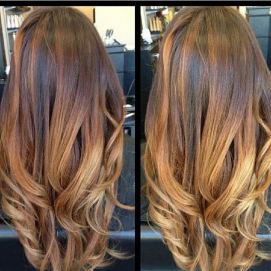 Ombre means to fade hair tones from dark to light, if you after platinum blonde ends or warm honey shades, we can help you achieve a personalised Ombre which is right for you. the creative freehand technique that lifts hair gradually from root to tip with a unique, naturalistic effect. It takes talent and technique tomaster. More technical, more personal, more amazing.